Micro-/nanofluidics has received considerable attention over the past two decades, which allows efficient biomolecule trapping and preconcentration due to ion concentration polarization (ICP) within nanostructures. The rich scientific content related to ICP has been widely exploited in different applications including protein concentration, biomolecules sensing and detection, cell analysis, and water purification. Compared to pure microfluidic devices, micro-/nanofluidic devices show a highly efficient sample enrichment capacity and nonlinear electrokinetic flow feature. 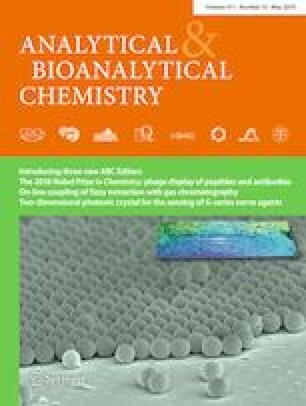 These two unique characterizations make the micro-/nanofluidic systems promising in high-performance bioanalysis. This review provides a comprehensive description of the ICP phenomenon and its applications in bioanalysis. Perspectives are also provided for future developments and directions of this research field. This work was supported by the grants from the National Key R&D Program of China (2017YFA0700500), the National Natural Science Foundation of China (21874155, 21635004, 21575163), the Qing-Lan Project of Jiangsu Province (2019), and “Double First-Class” University project (CPU2018GY25).